I think you'll find it's Rockin' Peanut Steering. (Jul. 27, 2015 8:44 PM)Bey Brad Wrote: Where's the rack-and-peanut steering? (Jul. 27, 2015 9:01 PM)Dracomageat Wrote: I think you'll find it's Rockin' Peanut Steering. I was waiting for some one to understand why my entry was called "The Homer" and you've officially made my day. 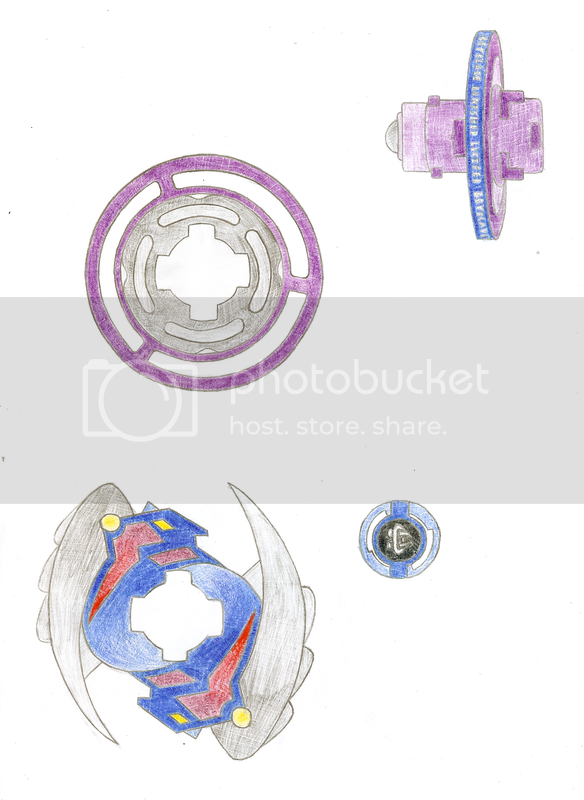 That being said, the Beyblade itself does feature three horns which may or may not play La Cucaracha. Expect my entry in a few days. Just need to get good pictures and upload them.EDIT: nevermind, I have it now. (Jul. 27, 2015 7:18 PM)J.I.N.B.E.E! Wrote: Homer MS (Metal Simpsons). Hey, it's better than Comic Sans MS (Metal Sans). The red and yellow parts are supposed to be stickers. The plastic wheels are free spinning, similar to Roller Defenser or Spike Lizard ARs. It is fixed, so it has some Attack power, but also more recoil than it would if it was free spinning. Instead of being a D-series shaped tip, it is a flat tip with a Bearing. 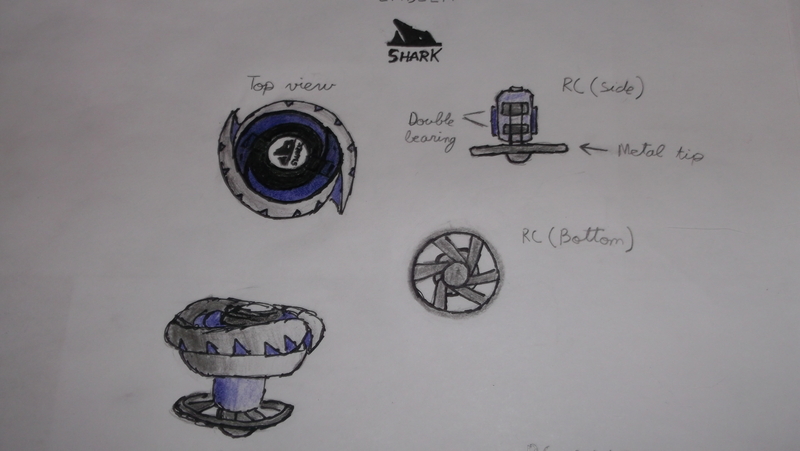 This gives the Beyblade some aggression while maintaining decent Survival ability. Similarly to my Burst entry I drew it on paper first, and then scanned it in and touched it up in GIMP. I only went over the BP in pen, mainly because I didn't want to obscure the details on the AR. Nice entry Wombat! I actually like the CWD you made because recoil is fun! That is super lovely. I like the AR and the Running Core has a weird and wonderful gimmick. By the way, I decided to withdraw from the competition. This AR provides smash attack in both spin directions, but is stronger in right spin. 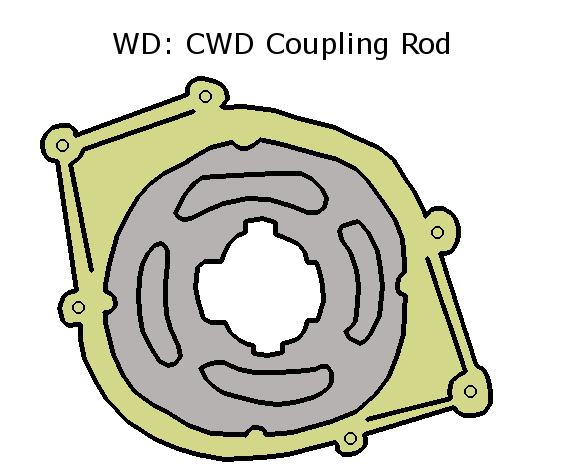 This CWD features four spikes of varying width, length, and thickness, for a wobbling effect. This RC comes with an infrared radiation controller that can change the mode of the core. Flat, Flat spike, and Spike. A blue Bit Protector with a black sticker depicting the "Banished Emblem", a simple white glyph symbolizing the fallen angel with both horns and a halo. This attack ring has all its metal on the outside for stamina purposes but is just as equally designed for attack. 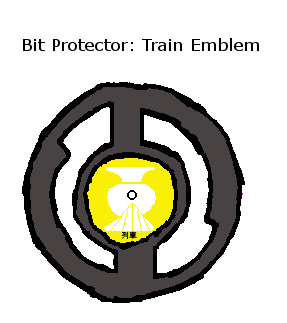 The two large metal protrusions provide great smash attack in right spin or upper attack in left (yes, the shading is backwards), allowing this AR to perform well in any area but defense though, as with all of this bey, it has a significant lack of focus that will keep it from being the best at anything. These protrusions stem from the heads of the AR, lending them a horn like appearance but their feather like bumps imply that they are wings, furthing the angel/demon duality theme of the bey. Similar to trypio's AR, this is a wide ring that will deflect attacks. 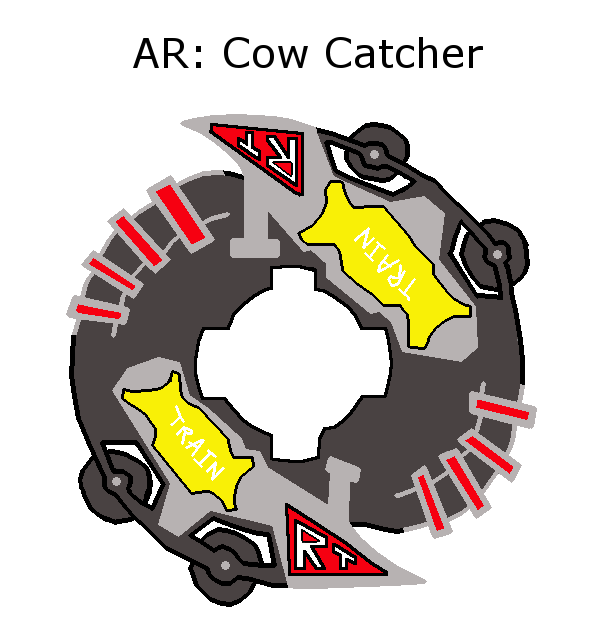 On tall beyblades like Aero Knight and Einstein, it might potentially add stamina due to the outward distribution of the ring but the metal CWD in the centre makes this seem unlikely. Instead, this part will add defense at the cost of potential scraping, with it being wider than some attack rings. It is, however not quite as wide as Angel Horns and is less likely to interfere with the attack of Banished Lucifer than with other beys due to its running core design. Instead, this "halo" is designed to be placed low on Banished Lucifer to allow it scrape a little and right itself after taking hits, much like BD145 might, the free moving aspect reducing the impact of this scrape. It is therefore a defensive part. 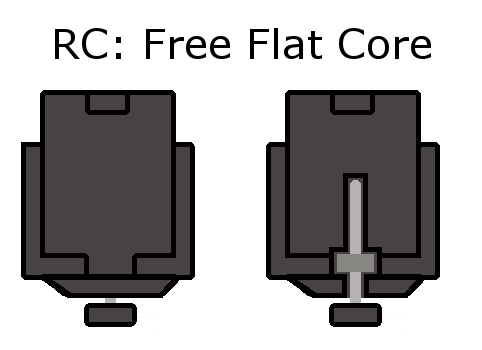 Based partially on the RCs of Shining God and Bloody Devil, this running core has a very low attachment point for its weight disk, giving the bey a highly benificial low center of gravity but also increasing the possibility of any CWD parts scraping, something this bey is designed with in mind. In addition to this, the gap between weight and attack ring produces attack points. Glide Attack isn't just a rip off of beys MA-23&24 though, oh no. Instead of their mode changing gimmick, it is entirely hollow, meaning that practically all the weight found in this core is that of the ball bearing which is free to move up and down inside. This means that it will normally act as a wide Hole Flat with a free spinning metal point in the centre but, when knocked off balance, its outer ridge and the ball slipping further out will work to steady it. This core serves as a form of high endurance attack tip due to the low contact with the stadium and low friction parts while still having muliple forms of protection against the recoil it will undoubtedly recieve. And for aesthetic purposes, a long sticker wraps the disk between AR and Weight with the repeating phrase "BEYBLADE BANISHED LUCIFER". Banished Lucifer MS is a fast moving balance type bey with heavy focus on attack, much like the series ending Zeus that came before it. 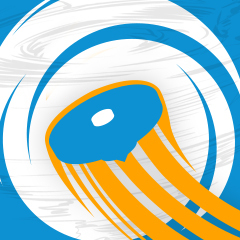 It aims to play a utility roll, being both aggressive and hard to fling around, while also outspinning other attack types. Repeated hits, however, will wear its stamina down fast and a stamina type that can avoid contact will easily outspin it. Nor is it liable to KO top tier defense types straight out of the box but it should still serve as an excellent alrounder and provide new and interesting parts for the HMS series. Could you post the picture in a link? That ain't bad Dracomageat, really impressive drawing skills, it's pretty neat. That name is pretty dark, haha. Cool entry, nonetheless. Reminds of that time we got a part named Genocide. (Jul. 29, 2015 7:17 PM)Leone19 Wrote: That name is pretty dark, haha. Cool entry, nonetheless. Or that "Bloody Devil MS" and "Death Gargoyle MS" exist. "Banished Lucifer" seems tame by comparison! (Jul. 29, 2015 6:49 PM)flame0251 Wrote: Could you post the picture in a link? It's fine to edit your post as long as you don't edit the entry itself (your artwork). These entries are looking good so far! Especially the concept for Leone19's. (Jul. 29, 2015 7:30 PM)J.I.N.B.E.E! Wrote: These entries are looking good so far! Especially the concept for Leone19's. Haha, thanks. I figured it'd be fun to do more of a "fun" entry for the heck of it. If it counts for anything it took me a while to actually make that Homer face look decent, haha. Actually, that was more of a typo. Anyway, it's fixed now. I mean you've got a good chance for taking the "fun" angle though. We can't forget that one time The Boss won with his "fun" entry. I especially like the Aggressively Placed Sprinkles. As for Dracomageat's entry, it's really good, especially with the way he interpreted the contest. It kinda makes you wonder what would have happened to HMS if its production hadn't been cut off. 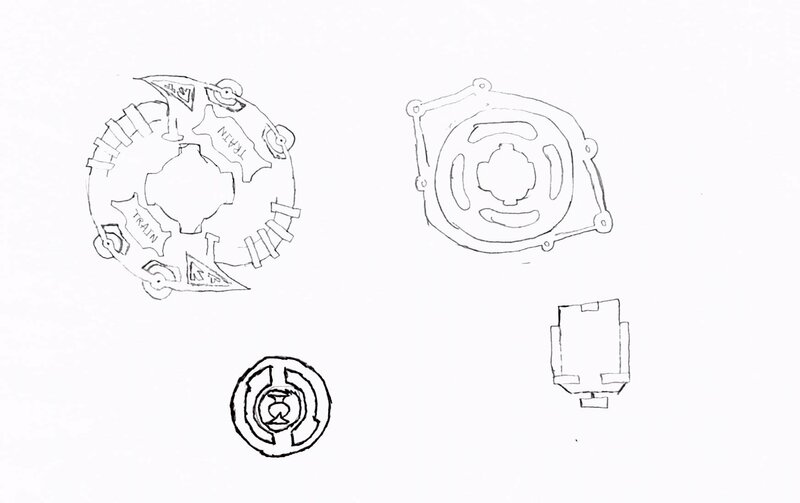 How exactly would Takara Tomy have "upped the ante" from God and Devil themed Beyblades? It's like the Diablo Nemesis of HMS, and it makes them sound like they were designed to end the series instead of simply being the last releases before production ended. It's a logical progression from SGMS and BDMS. I can't say I'd want to pick up his Beyblade in Left Spin though. Yeah, maybe a little rounding would have been a good idea. Still, if you go in palm first like I do then only things like Unicorno are truly problematic. I actually wanted to make mine if it was a gimmick specialty with it's weird CWD and RC function combination so my Recozer MS was more of a next HMS series sort of deal. Anyway, that design is pretty cool but it reminds me of a MFB as well. Yeah, blatant Circle Flat but otherwise quite cool. I'm liking how the AR is almost Sparkling Attacker. I think guessing what inspiration I got my design from will be tricky and it's not Deathsizer Oval Accele.